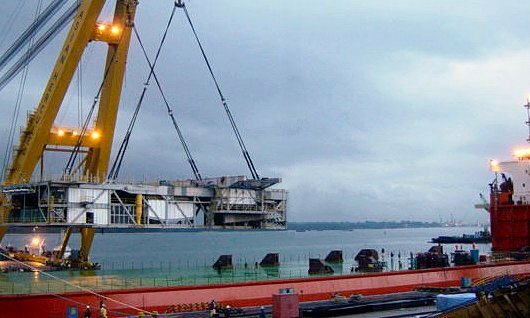 the module was successfully loaded and secured onto the heavy-lift ship TEAL. drawings and supporting calculations were delivered on time and within budget. Photographs courtesy of Pride International.